Damrau's immersive performance registers so viscerally you can almost visualize her actions. She is, quite simply, spectacular. "Damrau’s bravura technique remains one of the wonders of the operatic world, but she separates herself from the ranks of singers with similar repertoires by pinpointing the dramatic purposes of coloratura cyclones." "This glorious new album finds Diana Damrau in sparkling, top-notch form. The exacting demands that Meyerbeer makes on the soprano voice are shrugged off by a diva in her prime." "On the balance of this album, Meyerbeer’s time for resurrection is now." "Diana Damrau's singing throughout her recital is nothing short of spectacular...with flawless coloratura." 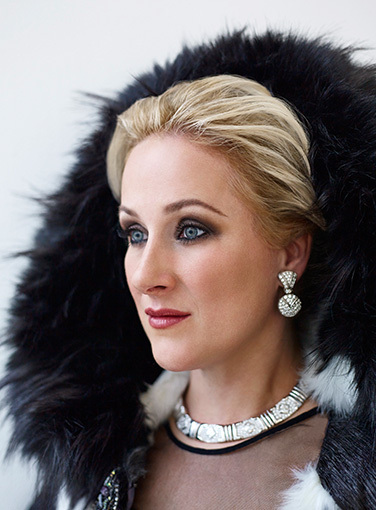 "The latest release from soprano Diana Damrau is a dream come true - for her, and for audiences!" "... meticulously sung, well researched and beautifully presented...the soprano’s technique remains unruffled regardless of what challenges are thrown her way..."
"...Damrau’s easy grace, brilliant tone and pliant expressiveness is everywhere... Meyerbeer geeks will be delighted to hear two obscure German arias, recorded for the first time. Everyone else will just be delighted."